The C302CA model was spotted earlier this year on Newegg, but now the Flip 2 name is finally confirmed, although Asus still has to announce it. This $499.99 USD Chromebook has an all-metal casing and uses the Intel Pentium 4405Y processor. The old Chromebook Flip will soon get a successor, reveals a recent listing on Best Buy. Unfortunately, the product is no longer displayed as available - the same thing happened back when the Skylake-powered Asus C302CA surfaced on Newegg. However, this time the store listing also mentioned that model number C302CA is known as Chromebook Flip 2. The only thing that still needs to happen is the official announcement. 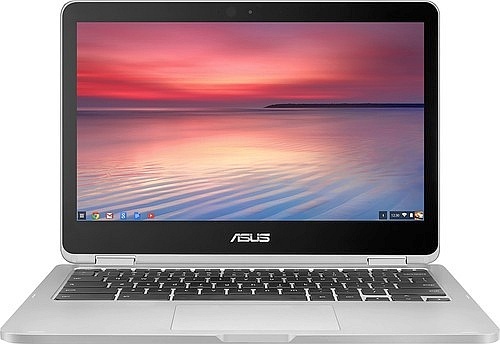 Asus Chromebook Flip 2 is a 12.5-inch machine with a full HD touchscreen display that runs Chrome OS and is powered by the Intel Pentium 4405Y processor. Its specs also include 8 GB RAM, 32 GB internal storage, a microSD slot, two USB Type-C ports, and a backlit keyboard. In addition to the above, the C302CA also features a 360-degree hinge similar to the one of the first Chromebook Flip. Unfortunately, the price has been pushed up from $249 USD to $499.99 USD. For now, the new Chromebook Flip cannot be ordered, so it will probably arrive by the end of January, after a proper official introduction.